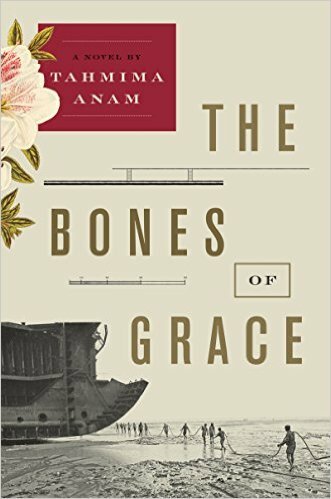 On the eve of her departure to find the bones of the walking whale—the fossil that provides a missing link in our evolution—Zubaida Haque falls in love with Elijah Strong, a man she meets in a darkened concert hall in Boston. Their connection is immediate and intense, despite their differences: Elijah belongs to a prototypical American family; Zubaida is the adopted daughter of a wealthy Bangladeshi family in Dhaka. When a twist of fate sends her back to her hometown, the inevitable force of society compels her to take a very different path: she marries her childhood best friend and settles into a traditional Bangladeshi life. A wonderful love story about cultural clashes, family responsibility and duty, and a woman finding her own way. I gave this five stars! Lydia, the twenty-something bride-to-be sat stony faced on the settee in my front parlor. This was not the way I wanted to start the week. Since I had opened my bakery in Millcreek Valley's bridal district in January, I had learned a lot about wooing, in the business sense. When I did wedding cake tastings, I took potential clients away from the cheerful light and beveled glass cases of Rainbow Cake and drew them quietly, seductively into the more intimate setting of my home right next door. Memes: Every Tuesday Bibliophile By the Sea hosts First Chapter First Paragraph Tuesday Intros where readers share the first paragraph sometimes two, of a book that they are reading or plan to read soon. Do the book description and first paragraph of the first chapter above appeal to you? Would you read on? 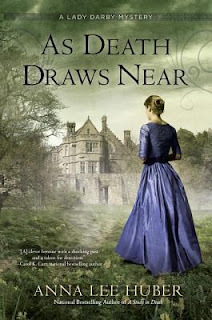 As Death Draws Near: A Lady Darby Mystery #5 by Anna Lee Huber, to be released July 5, 2016. A four star read with an atmospheric setting in an abbey in Ireland, nineteenth century. 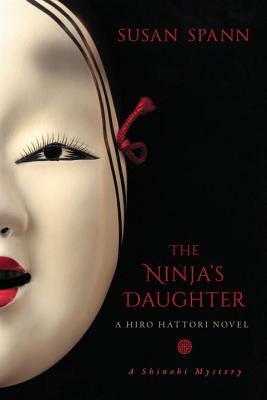 The Ninja's Daughter: A Hiro Hattori Novel by Susan Spann, to be published August 2, 2016 by Seventh Street Books. Master ninja Hiro Hattori and Portuguese Jesuit Father Mateo solve the death of an actor's daughter in 16th century Japan. This has been a slow month for new books at my house, but there are lots of novels around my desk that call for attention! How about you? Whats new in your reading? Keep cool in this sweltering summer! Beach reads and women's fiction are popular right now as summer has started officially! After losing their life savings in a Ponzi scheme, Maddie, Avery, and Nikki banded together to make the most of what they’ve got left. It’s Maddie’s daughter Kyra who stumbles across a once glorious oceanfront hotel that has fallen into disrepair. The opportunity to renovate this seaside jewel is too good to pass up. What could possibly go wrong? Everything. 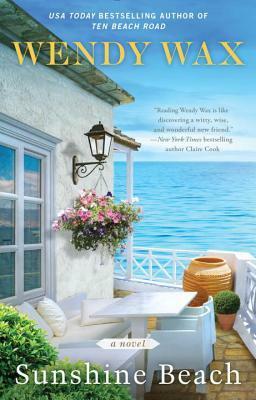 Just love that cover, perfect summer scene and read. I want to be in a hotel like this right now! It’s been two years since we last heard from Ten Beach Road’s Maddie, Avery and Nikki, and I know readers have been looking forward to their return. I think it’s great that they’re back at Bella Flora in Sunshine Beach. Yes, they’re back in Pass-a-Grille along with Kyra, Dustin, and most of the friends, family and crew of Do Over. They’re determined to figure out how to regain control of the show. Even Nigel, everybody’s favorite Paparazzi is there. What’s going on with the show? The episodes filmed in The House on Mermaid Point haven’t aired yet, but it’s already clear to the Do Over cast that the footage is far too personal and will and show them at their worst whenever possible. Plus the treatment, miniscule budgets and no approval of editing along with contrived hardships and unnecessary intrusions by the network all make it impossible for them to produce the sort of program they first imagined and, in Ocean Beach, thought they’d be creating. So this a major turning point. They’re looking for a way to reclaim Do Over and that’s what leads to the discovery of the seemingly abandoned mid-century modern Sunshine Hotel, next door to the Don CeSar and just two miles from Bella Flora. Is this as complete a renovation as they’ve tackled in earlier books? Absolutely. However, they’re getting resistance to even starting the project. The owners, two sisters, who inherited the hotel from their grandparents, have left it moldering for decades, unable to agree what to do with it. One sister wants to see it renovated and sold. The other believes that the key to a long ago family tragedy lies in the hotel and doesn’t want it touched. So they really have their hands full. With that and more, actually. Even when the cameras begin rolling, complications arise. Maddie’s romance with rock legend William the Wild gets complicated. The paparazzi remain on call 24/7 hoping to catch sight of mega movie star Danielle Deranian or Kyra and his son, Dustin. Nikki’s reluctance to commit to Joe could leave her to face the biggest challenge of her life alone. Even the Sunshine Hotel seems to be against them when the renovation uncovers a decades-old unsolved death and disappearance. Among the many emotional and physical ramifications of hosting a crime scene is that, quite simply, production grinds to a halt. Not a matter of life or death, of course, but it could be the death knell for the women of Ten Beach Road financially. What else can you tell us about Sunshine Beach? One of my favorite aspects of the book is the Sunshine Hotel itself and that’s because the inspiration for it came from my own childhood. You may know I’m a native of St. Pete Beach. When I was growing up, my family belonged to The Rellim Hotel and Beach Club on Pass-a-Grille Beach. I spent summer days at The Rellim pursuing my childhood job—fun—back and forth between the pool, in particular the diving board, and the Gulf, stopping occasionally for ice cream and “sun tan lotion.” I loved The Rellim. It opened in 1949 and closed in 1981. Needless to say, it was part of the inspiration for my Sunshine Hotel, giving me a chance to reminisce and to share a bit of what made it so special to me. Are any other locations inspired by real places in St. Pete Beach? No and that’s because actually I just highjack most of them whole and put them in the book. Many of the places I send my Ten Beach Road characters are real, though not all were around when I was still living there. Most of those I include are places I enjoy going to and it’s fun to share them with readers. The Paradise Grille, which used to be a concession stand, the historic Don CeSar and The Wharf Restaurant are among those mentioned in Sunset Beach. In fact, I’ll be doing a Sunset Book Signing at the Paradise Grille in June. 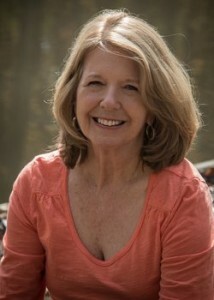 It and my other southeast book tour dates and stops are on the Events & Appearances page at authorwendywax.com. Yes! There a fabulous downloadable Sunshine Beach Book Club Kit available and I just love it. Everyone’s invited to check it out. It includes the “Wax Family Never Fail (cross my heart!) Egg Souffle” recipe that Maddie makes. It’s as close to a Cheez Doodle as anyone’s willing to give Avery first thing in the morning. It also includes my memories of “The Beach I Grew Up On” and pics of the real mid-century hotel that inspired Sunshine Beach, along with discussion questions. Oh, and just to remind everyone that book news, updates and giveaways can also be found on Facebook and Twitter and there’s a newsletter sign up on my site, as well. And that my USA Today bestseller, A Week at the Lake, will be published in mass market for the first time on Tuesday, June 28th. Thanks for giving me a chance to share Sunshine Beach with you and your readers! Nineteenth century novels of manners and mystery have been my reading choices the past few weeks or so. Here is another on my list. 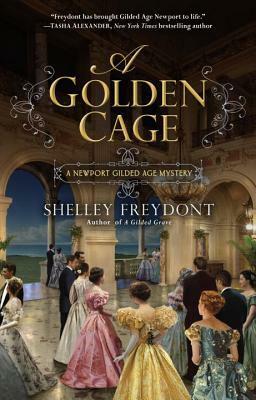 Newport, Rhode Island, at the close of the nineteenth century, where headstrong heiress Deanna Randolph must solve another murder among the social elite. Deanna Randolph tried not to stare, but it was the most remarkable thing she had ever seen. When she'd first learned that Maude Grantham was transporting an entire theater company to perform for her husband's birthday fete, Deanna hadn't known what to imagine. The Granthams' "cottage" on Bellevue Avenue stood out like a sentinel of good taste, against the more imaginative facades of the other "cottages" that were being built in Newport. But even its stalwart presence was a study in excess, if you asked Deanna. Based on the first paragraphs, would you read on? Every Tuesday First Chapter First Paragraph Tuesday Intros are hosted by Bibliophile By the Sea. Share the first paragraph sometimes two, of a book you are reading or plan to read soon. Trying to stay cool in this heat, and reading. 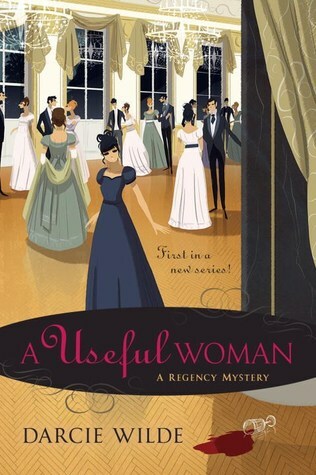 I liked A Useful Woman: A Rosalind Thorne Mystery #1 by Darcie Wilde, published May 3, 2016 because of the more complex plot, set as it is in the early 19th century in England. Inspired by the novels of Jane Austen, this new mystery set in London introduces Rosalind Thorne, a woman privy to the secrets of high society who finds herself solving a murder. Featuring Alice Pearse, a compulsively honest, longing-to-have-it-all, sandwich generation heroine for our social-media-obsessed, lean in (or opt out) age. I tried to get into the book but am having a bit of trouble with the slow-moving plot. May try another time. 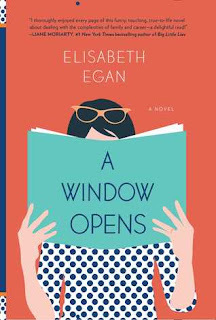 I started what started out as a promising cozy but the plot was so thin it began to drag in the middle of the book, and I abandoned it! Magical cats can take one only so far unless you are in the mood. My niece read What She Knew by Gillie Macmillan, a book I sent her, and thought it not too bad for a thriller. No new new books in the mail last week. I got one that is a double of one I already have, and I will probably send to my niece. Keep cool wherever you are.....temps are crazy this week and will be into the next. 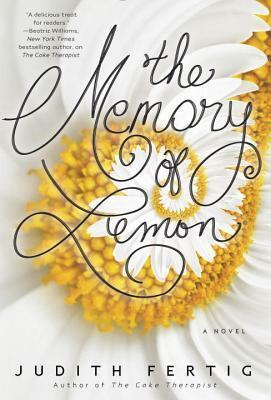 A Young Adult novel and coming-of-age story that adults and the young will enjoy. Ethan Underwood is only seventeen-years-old, scrawny and looking young for his age. He is determined to find his missing father whom he was visiting at Blythe River, when his father didn't return from his daily run in the woods. Ethan tries going alone with his dog to find his dad in the wilderness, but defeated, is finally helped by three local people who accompany him into the deep woods. Ethan does not want to give up, although the others later think their continued search will be fruitless. How he handles this challenge and becomes confident enough to push ahead is the subject of this book. This is basically a coming-of-age novel, set in a natural wilderness, lovely but treacherous in areas. We follow Ethan as he makes decisions, becomes determined and more confident along the way. The novel is well-written with characters we come to care about and a suspenseful search we take along with Ethan and his older, more seasoned pals. I wished for a different ending in terms of how the father and son defined their relationship, but I guess it was more realistic. Definitely a five star read that YA readers and older adults will enjoy. Ethan remembers the shaking most clearly. Probably because it was the first moment of the shaking. The most familiar of things making an initial appearance. When he thinks back on that night, it's that bone-deep trembling - the out-of-control shivering, the chattering teeth - that still feels vivid. He tried to stop it, to calm it. But he was powerless, in more ways than one. 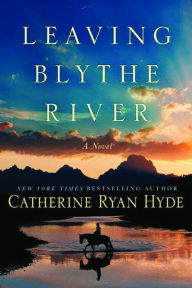 Catherine Ryan Hyde is the author of thirty published and forthcoming books. 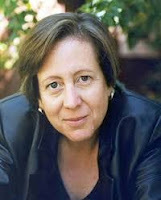 Her bestselling 1999 novel Pay It Forward, adapted into a major Warner Bros. motion picture starring Kevin Spacey and Helen Hunt, made the American Library Association’s Best Books for Young Adults list and was translated into more than two dozen languages for distribution in more than thirty countries. 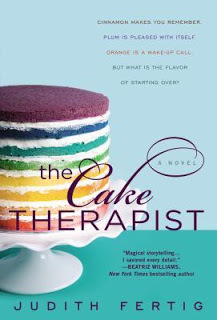 Her novels Becoming Chloe and Jumpstart the World were included on the ALA’s Rainbow List; Jumpstart the World was also a finalist for two Lambda Literary Awards and won Rainbow Awards in two categories. More than fifty of her short stories have been published in many journals, including the Antioch Review, Michigan Quarterly Review, the Virginia Quarterly Review, Ploughshares, Glimmer Train, and the Sun, and in the anthologies Santa Barbara Stories and California Shorts and the bestselling anthology Dog Is My Co-Pilot. Her short fiction received honorable mention in the Raymond Carver Short Story Contest, a second-place win for the Tobias Wolff Award, and nominations for Best American Short Stories, the O. Henry Award, and the Pushcart Prize. Three have also been cited in Best American Short Stories. Book description: THE QUESTION invites readers to consider this premise: If you could have the answer to one question, and only one question, what would you ask . . . and who would try to stop you from asking it? To what extremes would they go? 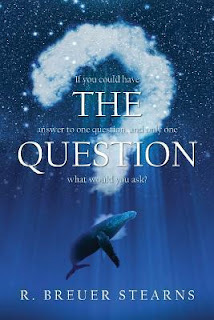 My comments: This book is a mixture of sci-fi, fantasy, and a thriller, posing a universal and meaningful question. The Unity theory, where minds combine at the same time to form the same ideas and/or solutions, is being researched by the government although the President is pressured by a Mideastern power to stop the research. The novel tends to be technical and therefore will appeal the most to a specific audience, one involved in underwater/submarine and other research in a military setting. Because of this, it was difficult for me to understand parts of the novel, though those involved in military research would find it very thought-provoking. Recommended primarily for those interested in sci-fi/fantasy. Thanks to Laura at iREad Book Tours for a review copy of this book for the book tour. 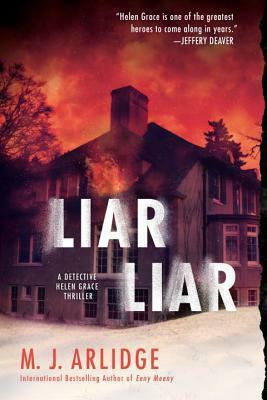 This police procedural by M.J. Arlidge, set in Southhampton, England, is the fourth in the Helen Grace series, paperback released today, June 7, 2016 by NAL. Luke scrambled through the open window and onto the narrow ledge outside. Grasping the plastic guttering above his head, he pulled himself upright. The guttering creaked ominously, threatening to give way at tny moment, but Luke couldn't risk letting go. He was dizzy, breathless and very, very scared. A blast of icy wind roared over him, flapping his thin cotton pajamas like a manic kite. He was already losing the feeling in his feet - the chill from the rough stone creeping up is body -- and the sixteen-year-old knew he would have to act quickly if he was to save his life. Meme: Every Tuesday Bibliophile By the Sea hosts First Chapter First Paragraph Tuesday Intros where readers share the first paragraph sometimes two, of a book that they are reading or plan to read soon. My comments: Family conflicts amid the Kentucky bluegrass country and purebred horses. Jewell tries to hold things together when her parents become disabled, but her brother Cal appears and tries to put her efforts to waste. 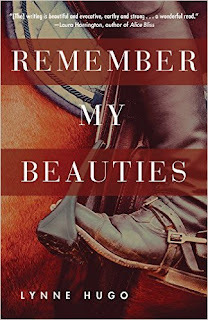 Lovers of novels that tackle the theme of family dysfunction, particularly between siblings, will enjoy Lynne Hugo's book, and those who want to read more or learn about Kentucky and their horse rearing traditions and lore will likewise find this novel alluring. Book description: Imagine a hawk’s view of the magnificent bluegrass pastures of Kentucky horse country. Circle around the remnants of a breeding farm, four beautiful horses grazing just beyond the paddock. Inside the ramshackle house, a family is falling apart. Lynne Hugo has published ten previous books, including poetry, fiction, and nonfiction. Her memoir, Where the Trail Grows Faint, won the River Teeth Literary Nonfiction Book Prize in 2004, and her sixth novel, A Matter of Mercy, was awarded an Independent Publisher silver medal for best regional fiction in 2014. The recipient of a National Endowment for the Arts fellowship, she lives in Ohio with her husband and their yellow Labrador retriever. Girl in the Moonlight by Charles Dubow, a contemporary novel about a young man and his obsession over time with a tantalizing girl who refuses to commit to a relationship with any of her lovers. Cesca changes over time in the book, from a frivolous girl to one who finds more meaning in her life. Autumn, 1565: When an actor's daughter is murdered on the banks of Kyoto's Kamo River, master ninja Hiro Hattori and Portuguese Jesuit Father Mateo are the victim's only hope for justice. This is the fourth in the historical mystery series set in Japan. 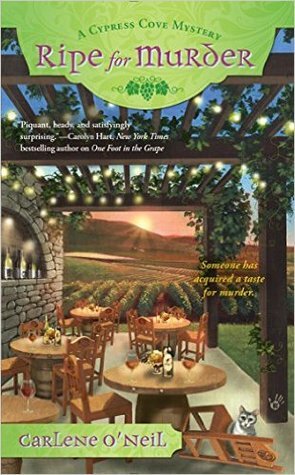 Ripe for Murder: Cypress Cove Mystery #2 by Carlene O'Neil, published March 1, 2016. 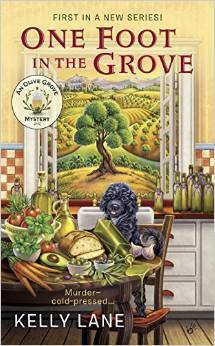 I have a similar mystery on my shelves, this one set in a small olive plantation in Georgia! One Foot in the Grove by Kelly Lane is the first in the series set in the Knox family's olive farm. 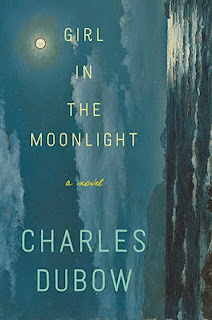 Published in January 2016. Setting in a cozy is key, don't you think? Not to mention clever titles and eye-catching covers. What are you reading this week? Rotterdam is not a beautiful city. A sprawling industrial conurbation of some 600,000 people, the Netherland's second largest metropolis has none of the canals, cobbles or picturesque bridges of its more famous rival, Amsterdam, and as such is rarely troubled by tourists. However, much to my surprise, it soon began to feel like home. Literally hours after walking out of the airport in the snow, I found myself living in a tall, crooked townhouse, on a tree-lined street between a canal, a tramstop, and a bar selling tiny glasses of Heineken. My Caribbean suntan quickly faded and my long beard joined my tattered beach clothes in a rubbish bin on a rain-soaked balcony. By the time the snow melted, my belongings had already arrived in the post from England, and I was eating bright green erwtensoep (pea soup) with gusto. 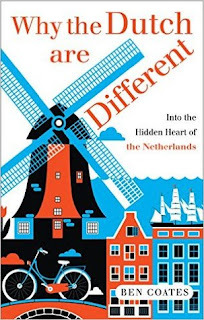 The skinny girl - a feisty, fiercely intelligent Rotterdammer with a pretty smile - showed no signs of kicking me out, and I began the slow process of integrating into Dutch society. Book description: a personal portrait of a fascinating people, a sideways history and an entertaining travelogue. The Friday 56. Grab a book, turn to page 56 or 56% of your eReader. Find any sentence that grabs you. Post it, and add your URL post in Linky at Freda's Voice. Also visit Book Beginning at Rose City Reader.